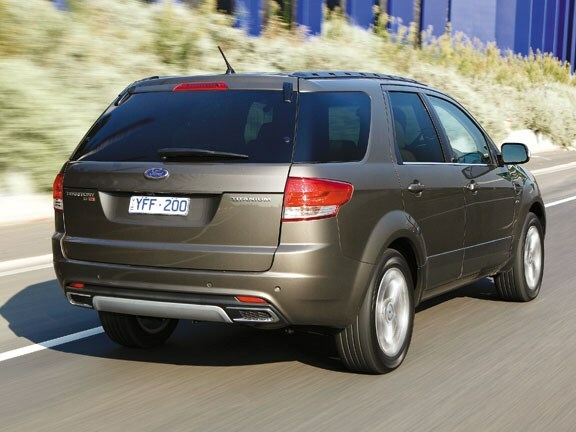 The Territory's TDCi powerplant has given the Australian Ford a new lease of life, adding a surfeit of torque, impressive refinement and enhanced towing ability. Exactly what the Territory needed. 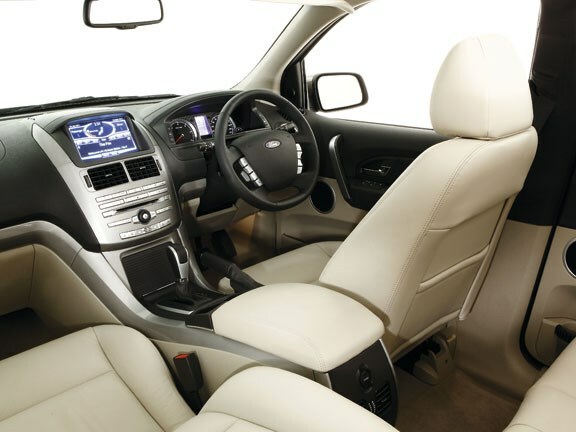 Since its last update in 2006, Ford has been quietly working away on this latest iteration of the Territory, a facelift model that now includes a 2.7-litre turbo diesel engine option. That's good news for anybody who's in the market for a large seven-seat crossover. The TDCi engine is a Ford-Peugeot product formerly used in some Jaguar and Land Rover models – not the latest three-litre version but still a fantastic powerplant, smooth and refined. It's particularly good news for those considering a Territory for recreational and/or towing purposes. Not only does the new engine give the vehicle vastly improved long-haul ability and a theoretical 1000km range, but if equipped with all-wheel drive and the factory approved heavy duty towing pack, the Territory TDCi can haul 2700kg. The rear-drive versions still manage 2300kg. All models are limited to 1600kg on a standard towbar. As before, Territory is available in base TX and mid-grade TS specifications. The flagship Ghia has been renamed Titanium; that's the model we tested and it comes absolutely loaded with equipment, although it also comes at a high price. At $69,990 it's as costly as the previous Territory Ghia petrol-turbo. You can get a TDCi cheaper: both the TX AWD and TS RWD are $59,990, while the step up to a TS AWD will cost $64,990. 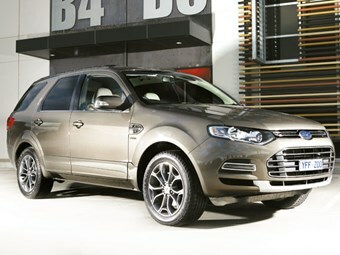 The least expensive Territory is still the TX petrol RWD, at $49,990 (you can no longer have a petrol model with AWD). You don't have to stare very hard at the Territory to see that despite the crisp new frontal styling, it's a facelift rather than an all-new model. However, there have been some serious changes underneath to accommodate the TDCi engine, including a new front subframe. The AWD system now features a predictive torque transfer function and all models now have fuel-saving electric power steering. The new steering set-up has not affected the Territory's driver appeal: it's still a hugely enjoyable vehicle to pilot, especially considering its 2167kg kerb weight. It's responsive and rides extremely well – the perfect long-distance machine for the family, especially if you've opted for the Titanium with its roof-mounted DVD player. As ever, the cabin is crammed with useful storage areas and the seats are superb. Cheap cabin materials blighted the previous Territory; the new model is much improved. The architecture is new and all but the base TX versions get a next-generation Interior Command Centre (ICC) that includes a colour touch-screen. Bluetooth and iPod connectivity are standard across the range. The Titanium also gets a slick new satellite navigation system that has the ability to suggest the most environmentally friendly route. It's a great system, although you need to spend the big money on the Titanium to get it: the Sat Nav is not even available as an option on other Territory models. Yes, Territory is back. Not that it ever truly went away, but it's now a tempting option for those who do want class-leading driving characteristics and don't have shares in an oil company. See the Ford Territory for sale on Autotrader.